The VM540ML MicroLine® stylus cartridge is the premier 500 Series model in Audio-Technica’s new VM cartridge line – a line that harks back to A-T’s early days as a manufacturer primarily of high-end phono cartridges, while also incorporating today’s advanced technology. Like all VM cartridges, the VM540ML is equipped with dual magnets that are positioned to match the left and right channels in the stereo record groove for outstanding channel separation and extended frequency response. The cartridge’s MicroLine® stylus allows it to trace the record groove with incredible accuracy, resulting in nuanced audio reproduction that elliptical and conical styli simply can’t match. The stylus’s multilevel shape also wears better than other styli, while reducing the wear on your records. Includes mounting hardware. What makes one stylus better than another? The shape and mounting of the stylus — the tiny diamond that traces the grooves of the record — is where small changes make a big difference in sound quality. 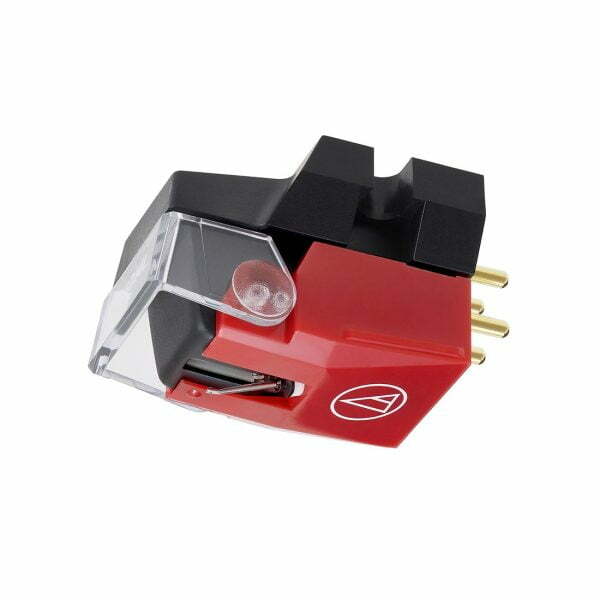 The Audio-Technica VM540ML phono cartridge features an advanced 2.2 x 0.12 mil MicroLine stylus that gets deep into the cut and reproduces the smallest details of the music. When you’re talking about the warm, natural sound of great vinyl, that small difference can mean everything.